Jim Meffert brings 25 years of experience to the Tecker team. Recently dubbed the “organizational psychologist” by one of his clients, Jim focuses on the dynamics among stakeholders by facilitating conversation and listening carefully for underlying motivations. Understanding how to get people to a place of unified action, motivated to support a direction and create impact is the skill that drove Meffert to run for Congress. “I was frustrated by the lack of action in Congress, and I wanted to get leaders focused on getting something done that would benefit all Americans,” Meffert says of his political motivation. And that same drive — to make an impact and get people aligned in a singular direction is part of his day job too. He says, “I like to get clients to the point where they’re excited about the potential of their work.” Understanding member, board or stakeholder motivation is key to success, Jim adds. He kicks starts his consulting projects with a carefully facilitated conversation to draw out each stakeholder’s beliefs and values. Knowing how people make decisions and behave during the planning and organizing process is key to getting results. He sits back and listens, and then gets a group focused on working together and thinking big. As in big impact. “A lot of the time I’m working to extract the uncertainty in a group’s thinking, and help them be okay with it. Living with uncertainty helps us think about possibilities, he says, and that’s liberating. “If we ask for certainty, then we’re staying with what we’ve known, not our potential. We can’t grow that way,” he says. Throughout his career, Jim has been a catalyst for growth, redesign, and positive change. Jim has worked with leaders in the public, private, and non-profit sectors and is most skilled at building the bridges between them. He has helped national organizations move beyond their differences and overcome paralysis by helping them see mutual and connected interests. He has rebuilt deeply troubled organizations and created national brand strategy and advocacy frameworks. 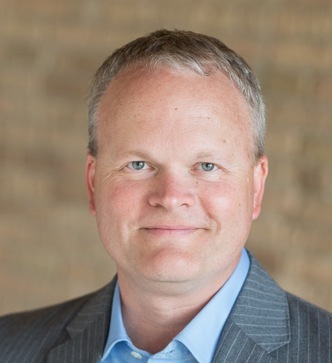 Jim has served as Executive Director of the Minnesota Optometric Association, the Jefferson Center and Jefferson Action. His experience also includes working with national medical specialty societies in the Office of Federation Relations at the American Medical Association. Prior to that, he was in charge of federal and state government and chapter relations for the American Society of Plastic Surgeons. Extensive experience with strategic planning, organizational design, leadership training, executive management, leadership transition, advocacy project development and branding. Experience working with medical specialty societies, professional health care provider associations, education associations and coalitions, education institutions and foundations, and corporations.